One of the proposals for a huge new airport for the UK was for a Severnside Airport near Newport put forward by John Borkowski of MSP Solutions. There have been comments that his scheme is “far-fetched” and the plans would depend on the sale of the Welsh government-owned Cardiff airport and the privately-owned Bristol Airport – along with the transfer of their passengers and airlines to Severnside. Bristol called the plan unrealistic. But John Borkowski said there are too many regional airports and a larger hub would boost the economy. Previous proposals for a “Severnside” airport were rejected in 2003 by the UK government. Mr Borkowski’s plan would include a 4,000m main runway with road links to the M4, sea links and rail links to the main London-Wales mainline. He says 1,000 people would be employed, while there is also potential for 10,000 support jobs, and the airport could handle 14 million passengers a year initially to around 40 million by 2050. Mr Borkowski said that with the potential closure of Heathrow in the future (!?) it was important to consider developing a larger airport for the south west. The man behind proposals for a Gatwick-sized airport in Wales has defended his ambitions following claims they are “far-fetched”. Both Cardiff and Bristol airports would need to be sold if a £5bn Severnside Airport was to be built near Newport. 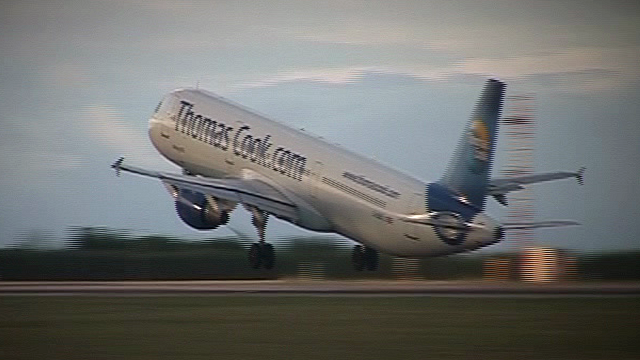 Cardiff airport said it was focusing on improvements while Bristol called the plan unrealistic. But John Borkowski said there are too many regional airports and a larger hub would boost the economy. Previous proposals for a “Severnside” airport were rejected more than a decade ago by the UK government under an aviation white paper’s 30-year plan for air travel. But fresh proposals have now been submitted to a UK government group looking at the future of air travel. They promote the idea that a major airport should be built somewhere along the Welsh coastline, south of the former Llanwern Steelworks site in Newport, by about 2029. It would include a 4,000m main runway with road links to the M4, sea links and rail links to the main London-Wales mainline. One thousand people would be employed, while there is also potential for 10,000 support jobs, the proposals say. The airport would also be capable of handling large, transatlantic planes and freight flights, with the number of passengers forecast to rise from 14 million a year initially to around 40 million by 2050. With the majority of planes taking off and landing over water, the noise and air pollution for nearby residents would be minimised, the proposals also claim. However, the plans would depend on the sale of the Welsh government-owned Cardiff airport and the privately-owned Bristol Airport – along with the transfer of their passengers and airlines to Severnside. Mr Borkowski, a former British Airways executive who has his own aviation consultancy, says that the future of air travel in the UK will depend on less regional airports and more large hub airports, partly to reduce the environmental impact but also to aid economic development. “This airport we’re talking about is something completely different [to Cardiff and Bristol],” he told BBC Wales. “What we’re talking about is a big airport, much more attractive, with state-of-the-art facilities. “I mean, if you look at Cardiff and Bristol, the facilities are okay for a small regional airport but they are not equivalent to the sort of stuff you find in big international airports. “What we’re talking about is having facilities for full service airlines, not just for low-cost carriers, which is going to attract a different kind of market into that area. “To attract the inward business traveller, the man who wants to invest, you need a big airport. Mr Borkowski said that with the potential closure of Heathrow in the future, it was more important to consider developing a larger airport for Wales and the south west. He said the Welsh government was right to focus on improving Cardiff airport after recently buying it for £52m amid concerns about falling passenger number. But he insisted that in the long run it would pay to be part of the Severnside, along with Bristol’s owners, to avoid the duplication of flights and build an airport that catered for both holiday and business travellers. However, Bristol Airport – seen as one of the best performing regional airports serving around six million passengers a year – has dismissed the idea. Chief executive officer Robert Sinclair said: “The Airports Commission has received many proposals for different airport schemes right across the UK. “It is important that these are deliverable solutions not somewhat far-fetched proposals reliant on the forced closure of a successful, privately owned airport which supports thousands of jobs. Cardiff Airport chief executive Jon Horne also said he was focusing on improving the existing airport rather than any potential new Severn airport. “The focus here is the now and near future and doing the best job we can for the benefit of the people of Wales,” he added. Plans to replace Cardiff and Bristol airports with a £5bn airport on the Severn Estuary have been criticised as unrealistic. A new airport between Newport and Chepstow has been proposed as part of a review of the UK’s airport capacity. It would open in 2029 and would be able to handle 20m passengers initially. But Bristol Airport called the plans “somewhat far-fetched” while the man brought in to run Cardiff Airport said his focus was on the immediate future. Previous proposals for a “Severnside” airport were rejected more than a decade go by the UK government under an aviation White Paper’s 30-year plan for air travel. Bristol Airport chief executive officer Robert Sinclair said: “The Airports Commission has received many proposals for different airport schemes right across the UK. “The idea of a new Severnside airport was dismissed by the Future of Air Transport White Paper back in 2003 on the basis that it would “struggle to attract sufficient traffic to be financially viable and would not generate sufficient economic or regeneration benefits to merit support. The previous plan, put at £2bn, was for an airport near Newport with runways on a man-made island and capable of handling up to 30m passengers a year. The new proposals are for an airport that would be “capable of serving the market for the rest of the century”. They envisage taking 16 years to plan and build an airport with a 4,000m main runway and with road links to the M4 and rail links to the main London-Wales mainline. It would employ 1,000 staff directly and up to another 10,000 indirectly. With the majority of flights taking off and landing over water, the noise and air pollution for nearby residents would be minimised, they claim. The scheme was put forward by the consultancy MSP Solutions and is based on a paper prepared for the think-tank the Institute of Welsh Affairs (IWA). IWA chair Geraint Talfan Davies said the former Severnside plans were rejected on a “completely false premise” in that the aviation white paper was only looking at airports from a regional perspective. The current proposals fed into the Airports Commission’s wider aims and underlined how Wales and the south west of England should been seen as one when considering the future of air travel growth, he said. 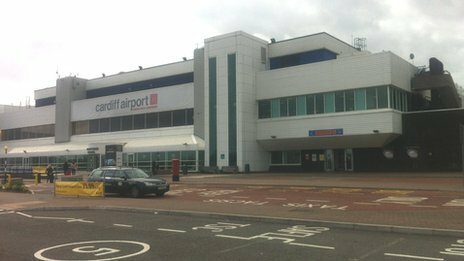 Cardiff Airport was bought recently for £52m by the Welsh government over concerns about falling passenger numbers and a lack of investment. First Minister Carwyn Jones had been critical of the airport’s previous owners after a slump in passenger numbers from a peak of two million in 2007 to just over one million in 2012. The Welsh government has already installed a new senior management team and stepped in with an express bus service to improve transport links for passengers. Mr Jones also wants a commercial operator to become involved in the airport to help run it. Cardiff Airport chief executive Jon Horne said he was focusing on improving the existing airport rather than any potential new Severn airport. “The long-term schemes that have been proposed will be decided on the the basis of far-reaching UK government policy,” he said. “The focus here is the now and near future and doing the best job we can for the benefit of the people of Wales. Plans for a new £5 billion Severnside airport which would serve 40 million passengers every year have been put submitted to the Airports Commission. The plan by MSP Solutions, is for a new airport constructed on a reclaimed island in the Severn Estuary, between Chepstow and Newport in South Wales, which would replace Bristol and Cardiff airports (which would have to close), and would be the biggest regional airport in the country – (in the perhaps unlikely event it is ever built). The aim is to build the new airport alongside the M4 and the First Great Western rail link to London. Not surprisingly Bristol Airport believes that efforts at dealing with expected growth in air travel should be concentrated on the existing airports. The CEO of Bristol airport says “The idea of a new Severnside Airport was dismissed by the Aviation White Paper in 2003 on the basis that it would ‘struggle to attract sufficient traffic to be financially viable and would not generate sufficient economic or regeneration benefits to merit support’. The Commission will continue to consider the submissions received and decide in December which merit further detailed study, for final decision after the summer 2015 election. Posted: Tuesday, September 10th, 2013. Filed in General News, News about Airports, Recent News.